Ever notice there are those few people who are totally killing it with every product launch, every email, and every ad campaign they create? It’s like they have the Midas Touch. Everything they do turns to gold… Is it magic? Are these mysterious success stories made up of some kind of super geniuses? Or is it just dumb luck? There is ONE thing that the most successful people in your niche do that almost no one else does. And this one thing separates those who get GREAT results from those who’re struggling to get traffic, struggling to get subscribers, and struggling to get sales. What is this one magical thing? Well, it’s not magic at all: it’s conversion testing. I know you’ve heard about this before. Maybe you’re already doing it, but it just seems like such a hassle. Or maybe you know you should be doing it, but the idea of data and stats and testing just makes your eyes glaze over. We get it. We used to think it was a hassle too. We used to think the benefits received weren’t worth the effort put in. But man, were we freaking wrong. I mean there are a lot of tools out on the market, but some of them are very clunky. Some of them are full of bugs. Some of them simply weren’t powerful enough to do what we needed them to do. So we developed our own – put in all the features we wanted and needed – and now split testing has never been easier or more PROFITABLE. 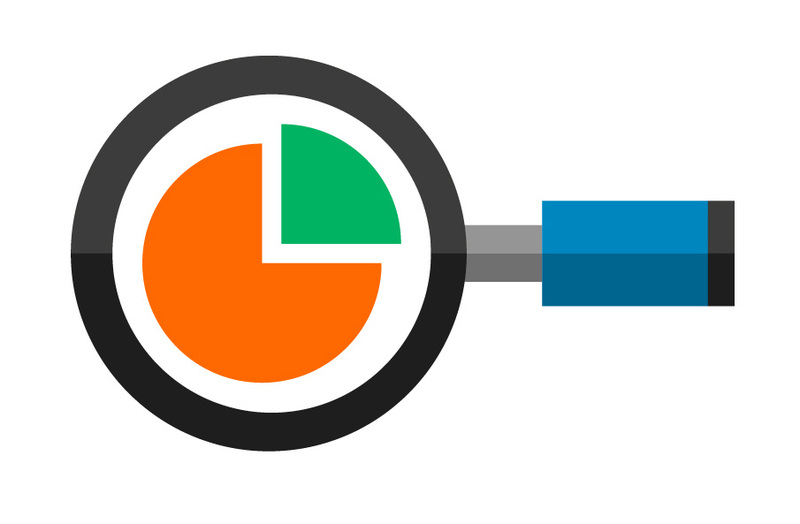 AND THAT’S REALLY THE BIG THING HERE…SPLIT TESTING IS ALL ABOUT INCREASING YOUR PROFITS. 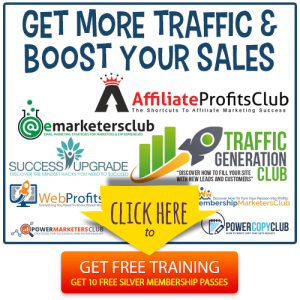 When you use the right tools and strategies, it’s the single best way to jack up your profits big time without getting more traffic, without raising your prices, and without spending a single cent more in advertising cost. It’s like giving yourself a big pay raise – and it’s a whole lot easier than you think! And increasing sales is just one of the things that happens when you start split testing. Boost funnel conversions: When you start testing your offers, ad campaigns and products, you’re not just boosting single-page conversions – instead, you can boost conversions across your entire funnel. That means you lift the lifetime value of your customers, which puts more money in your pocket over the long term. 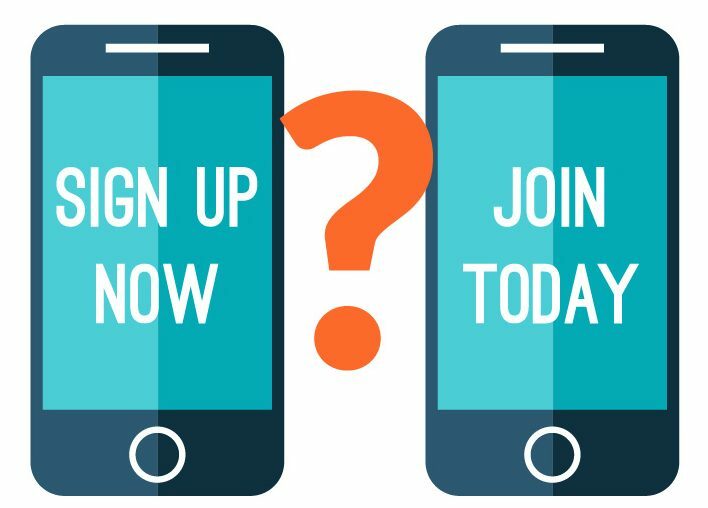 Increase opt-ins: Need a bigger list? Testing is one of the big keys. Just a few simple tweaks can take a poorly converting lead page from a 5% conversion to 10%, 20%, 35% or more! Think about how much faster you could build your list if you increased conversions by that much! Build your brand and authority: When you figure out what people respond to, you can get them to click on and read more of your content. In turn, this builds your brand and authority in the niche. And when you build your brand and authority, you effortlessly build top of mind awareness and start generating more sales. Pretty slick, right? Get more clicks: No matter what you’re doing online, you need more clicks. With testing you can get more clicks on your videos, on your webinar registration pages, on your contest pages, on your forms, on your blog articles, on your social media pages and more. 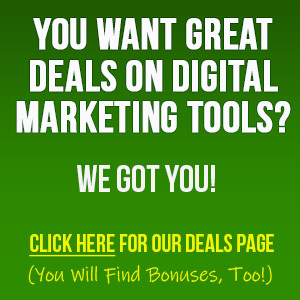 More clicks, more traffic, more revenue. Reduce management costs: Simply put, testing improves efficiency across the board, which reduces your costs. Develop a better understanding of your customers: You want to get inside your customers’ heads? Then use testing to find out what they REALLY respond to. Over time, this will help you create more targeted content and campaigns with naturally higher conversions. Higher profit margins and ROI: When you test your ad campaigns, you increase your return on investment. That means you get more traffic, sales and revenue for every dollar you invest in advertising. Bottom line? 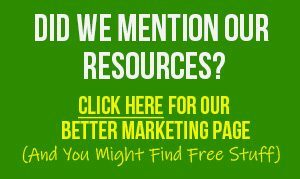 More of everything: More traffic, more leads, more opt-ins, more sales, more customers… and more revenue! 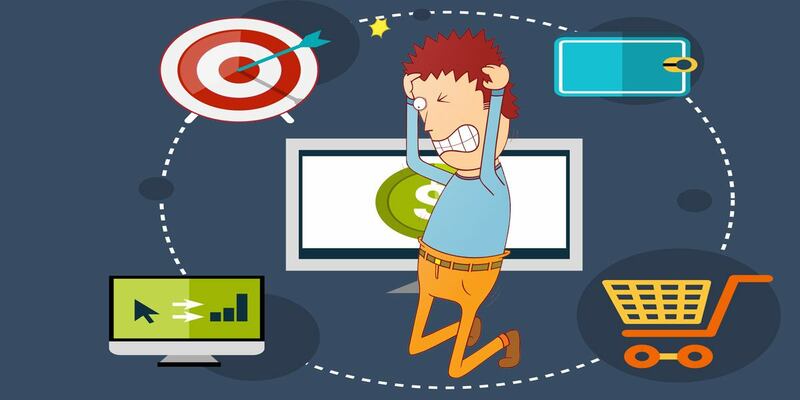 So how can you start boosting your profits while getting rid of the hassle and headache factor of testing? That’s what this post is all about. First things first… you need to figure what you’re going to test. Truth is, there are a lot different parts of your campaigns and your sales funnels that you can test. Basically, if something is trackable, then you can test it. Now what we’re going to focus on here in this post are simple split tests that you perform on your own real estate, such as on your sales letters and lead pages. And your first step is to set up a plan for how you’re going to tackle your conversion optimization. This is the ONE thing you want your prospects or visitors to do before they leave your web page. Those are some of the more common actions. Perhaps your goal is different. Whatever it is, define it clearly. Now the main thing I want to emphasize at this point is that you really need to focus on ONE goal. For example, you may want your prospect to both fill in a form and share the content on social media. But if you put too many calls to action in front of your prospect, they may just not follow through on any of them. So keep it simple. Choose ONE goal, and then create your entire page around getting your prospect to take action on that singular goal. And once you know what your goal is, then you’ll have a better idea of what to test. When you look at your page, it will become obvious that there are lots of pieces and parts – and that means lots of potential things to test. Truth is, I could list TONS of variables here. In fact, if you’d like a more comprehensive list, check out this post . You’re going to be split-testing for the rest of your natural life if you test all the possible variables. In our tests, we’ve found that the headline makes the biggest impact (See example above). A good headline can increase conversions by 200%, 300% or more.In one of our tests, we quintupled our conversion rates (yes, 500%) by tweaking the headline. So, that’s a good place to start. Second, Remember your overall offer will have BIG impact.The overall offer includes the product, any bonuses you’re offering, and the price. Now changing one small bonus in a list of ten bonuses may not have a huge impact. But making major changes such as going from one to ten bonuses MAY impact your conversions significantly. So be sure to focus on major changes. Thirdly, your overall benefits and positioning are going to make a difference. This is the part of your sales page or lead page where you tell your prospects what they get and what’s in it for them. If you’re not doing a good job of conveying why your prospects need your offer, then you can kiss any conversions goodbye. Now, these are just general guidelines. The headline is likely to be make the biggest impact on your conversions too, but beyond that you may need to use a little intuition and a little common sense to figure out what to test first. Just look over your page as if you’re a prospect and ask yourself what catches your eye first? What items on the page are the most impactful? These are the things to focus on with your initial tests. Have you ever tried to fix something when you didn’t have the right tools? Maybe you were missing the right size wrench, or you didn’t have the proper screwdriver, or something along those lines….You know what happens, right? Every job takes two or three times as long, if you finish it at all. And you’re about ready to tear your hair out with frustration by the time you get all done. Same goes for split testing! If you’re not using the right tools, then everything is just going to end up being time-consuming, frustrating and expensive. If you look at some of the platforms and other tools you’re currently using, you may be pleasantly surprised to find out that there are testing tools built right into the platform. For example, take a look at your email service provider (ESP)/autoresponder. If you’re using a major platform, then you probably have the tools you need to test things like your email subject lines and calls to action. Or if you’re setting up a Facebook ad campaign, then you’ll get some statistics from Facebook to help you make decisions about how to target your audience, whether your ad is getting the clicks you need, etc. But no matter what sort of third-party platforms you’re using for things like email or paid advertising campaigns, the one thing these platforms can’t do is test what’s going on with your actual sales page. You won’t know if your headline is working for you. (Remember how important a headline can be). You won’t know if the call to action works like the smooth-talking Don Juan of sales pages to get your prospects cracking up their wallets. You’ll have no idea if you’ve found the “sweet spot” for pricing that puts the most profits in your pocket. How do you figure that stuff out? Yep, you guessed it, you need to get your hands on a powerful tool that can do what you need (without being so bloated or complicated that there’s a huge learning curve). If you run a Google search for split-testing tools, you’re going to get a boatload of results in return. Trying to wade through all those options isn’t exactly a fun way to spend a week. package, though you’ll need to get a custom quote if you’re interested in the Professional or Premium packages. Visual Web Optimizer (www.vwo.com): This toolset is aimed at all business levels, from start up to large enterprise. 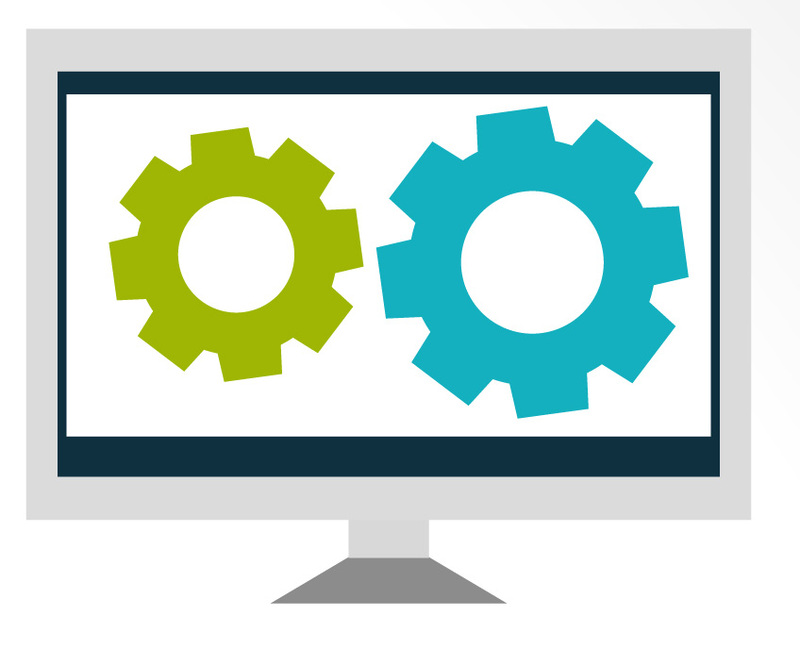 You can do standard split testing, multivariate testing, heatmaps, revenue analysis and more. Plans start at $49 per month for the basic plan, and go to $999 per month or more for enterprise plans. Click Meter (www.clickmeter.com): This service is a web-based tool which includes A/B test rotators, retargeting, affiliate marketing tools, branded domains and more, depending on what plan you choose. You can get started using a very limited, stripped-down version for free, or you choose from plans with more features which range from $49 per month to $349 per month. Split Test Monkey (www.splittestmonkey.com): After looking at the high pricing, bloated features and complex learning curves that are common on so many other tools, this is the tool we developed for ourselves – which we’re now making available to the public for the first time ever. Split Test Monkey is very powerful, yet very easy to use. With just a couple clicks of your mouse you can get everything up and running in a snap. You’ll learn more about that in just moments. HOW DO YOU SET UP YOUR SPLIT TEST? 1.Do you pick just ONE factor to test at a time and then do a standard A/B split test? 2.Do you select multiple factors to test at the same time, and then do a multivariate test? This is where a lot of people get bogged down. And that’s why we suggest you keep it simple, keep it clean, and choose just ONE variable to test at a time. The reason you’re picking just one variable to test is because if your conversion rate changes, then you’ll know exactly which factor contributed to that change. For example, let’s suppose you created two sales pages that were exactly identical,except that the headlines and calls to action were different. If you got a bump to your conversion rate on one of those pages, was it the headline or call to action that gave you the boost? You wouldn’t know. You’d have to do separate testing to find out. (Ugh, hassle!) So let’s skip all that hassle and just go straight to a simple A/B split test, where you are testing just ONE element at a time while keep everything else the same. NOTE: But wait! Why not do multivariate testing? After all, it lets you test two or more variations at once! Isn’t that a good thing? Well, not exactly. At least not if you don’t have a ton of traffic and a PhD in statistics. What happens with multivariate testing is that your testing software needs to cycle through all the variations. For example, if you’re testing just two factors, then you’re going to have four web page variations to account for all the combinations of those two factors. And that’s just for two factors. Imagine if you were testing three, four, five or more factors. Oy! What ends up happening is that it takes longer and you need more traffic in order to get any reliable results. Statistical confidence tends to be low on these sorts of tests. You may end up with a “winner”– but you may only be 80% sure that some particular combination is the winner. That’s not very good. You’d probably end up testing something separately to confirm your results. So you know what? Keep it simple! Just do a simple A/B split test where you look at just ONE factor while holding all other variables constant. One of the very cool things about some tools like Split Test Monkey is that you can choose from two different types of split tests. 1. THE A/B DYNAMIC “SNIPPET” TEST. 2. SPLIT URL/WEB PAGE TESTS. Most split-testing tools only give you the second option, which is the split URL/webpage test. This is where you set up two different web pages that are identical, except for that one element you’re testing. The software than randomly sends half your traffic to one URL, and the other half of your traffic to the other URL. But there’s a problem here…Your prospects are actually seeing two different URLs. So, for example, one group may see yourdomain.com/linka.html, and the other group may see yourdomain.com/linkb.html. Sure, there may not be a huge difference between those links. But you know what? 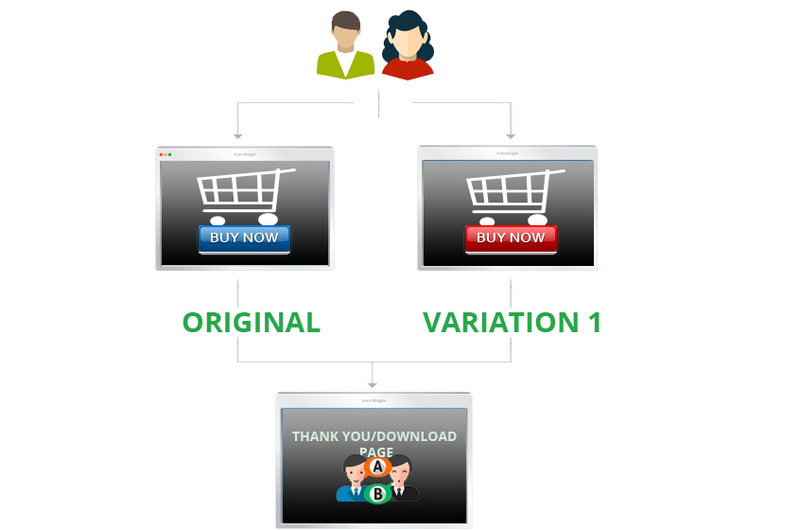 That is a still a variable, and that variable can affect your conversion rates. So while Split Test Monkey does give you the option of testing between two different web URLs/pages, we suggest you save that option for BIG changes, like web page layouts and new designs, color schemes, major offer changes and so on. For everything else, choose the Dynamic Snippet Testing option. Yes, you can find out if that URL makes the difference. All you have to do is set up two web pages that are exactly the same, with the ONLY difference between the link. Then you can run a split test to see if the link makes any difference. But that’s kind of a hassle, which is why Split Test Monkey gives you the option to choose the A/B Dynamic Snippet Test. If you’re testing something like a headline, postscript, or call to action, then you’ll want to choose the A/B Dynamic Snippet Test. This is a pretty awesome feature. 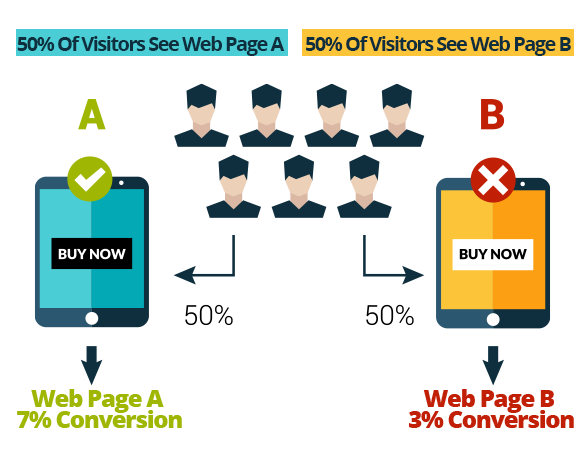 What happens is that every visitor sees the exact same URL (same link), so you don’t have to worry about your conversion rates being influenced by that factor. But tools that offer this feature rotate your element or variation dynamically and directly within your web page. So, for example, different visitors are going to see a different headline at the top of your sales page, if that is the ONE element you’re testing. But everything else on the page is just the sale, including the URL. So no worrying about the URL variation affecting your tests. Split Test Monkey also lets you test multiple variations of that one element. You can do a standard test where you just test two variations, such as Headline A and Headline B. Or you can choose to test up to six different variations of that one element. Continuing with the headline example, that means the software would rotate and test Headline A, Headline B, Headline C, Headline D, Headline E, and Headline F. Naturally, testing more variations of the same elements means that you’ll need to extend the length of your test so that you have enough traffic and conversions to accurate analyze everything. More on that just a bit later. For this test, you need to first create two different web pages/URLs. Again, these pages should be exactly identical, except for that ONE item that you’re testing. For example: if you’re testing headlines, then Version A and Version B of your sales letter should be EXACTLY the same, with the only difference being the headline. If you’re using a tool like Split Test Monkey, you don’t need to create two entirely different web pages if you’re testing small items like a headline. Instead, you can simply upload the relevant HTML snippet, and Split Test Monkey will rotate your variation dynamically on your web page. And since all visitors see the same web page, you don’t have to worry about the links influencing conversion rates. So what you do is create those two pages, upload them to your website, and then log into your testing software. Usually all you have to do is copy and paste your links in, set up some testing parameters, and you’re good to go. Now here’s something very important: remember that one of the keys to good conversions is to have targeted traffic…You see, it makes absolutely no sense to run conversion tests if you’re just going to send highly untargeted traffic to your sales page, lead page or other web page. You may have a page optimizing at some eye-popping rate, but you wouldn’t know it if the traffic isn’t targeted. So be sure you’re sending GOOD traffic to your page so that you can be confident about the results. Just how do you know when to stop a test, and how do you analyze the results? You see, here’s the problem… A lot of tools out there assume that you already know something about statistics. And so these tools drop the data in your lap and expect you to figure out how to analyze all that data, but the average marketer doesn’t have at PhD in statistics. And so they misinterpret the data. As you can imagine, this is a costly mistake. You see, in statistics there is something called the confidence level. This is expressed as a percentage, such as 90%, 95% or 99%. What this means is that you are X% confident that the result you got is the TRUE result. Most statisticians choose the 95% confidence level. That means there is a 95% chance that their results are true and accurate, and only a 5% chance that the data didn’t show the true result. Statistically, that’s impossible. Unless you have every single one of your prospects go through your split test, you can never be 100% certain of a result. That’s why we use statistics– so that we can measure a tiny percentage and be fairly confident of our results. Again statistically, hitting a 99% confidence level is also somewhat difficult. That’s because you need a large sample size. And if your Version A and Version B results are relatively close, then you’re going to need an even bigger sample size to figure out the“true” result with a 99% confidence level. Let’s say you start running your test. After five actions (five sales), four people like Version A of your letter, and one person likes Version B.
That’s way too small of a sample to draw any conclusions. Because the next 10 people who roll through your sales letter might all like Version B. So what you need to do is get dozens of more actions, such as 100. Now let’s say that after 100 actions, 48% of your customers preferred Version A of your sales letter, while 52% like Version B.
That’s close. Statistically, that may be equal. So what you need to do is keep running tests until you get a sample size large enough to be able to confidently say that Version B really is better. The larger you set your confidence level, the bigger sample you’ll need on these sorts of close results. So just how the heck do you figure out how big of a sample size you need in relation to the confidence level you chose and the relative closeness of the results? Get your calculator out… Just kidding. Option 1: Let the software decide based on your chosen parameters. This is the auto-optimize option, which is what we recommend. You can set the confidence parameter (recommended 95%), and Split Test Monkey will do the number crunching for you. EasyOption 2: Let the software pick a winner after X number of conversions. This is a good second-choice option, provided you’re picking a winner after many dozens of conversions (which gives you a higher confidence rate). Option 3: Let you manually pick the winner. In this case, you can let the software run the test, and then you look at the data and decide the winner. This is probably best left to advanced users, as it’s better to set your parameters BEFORE you run a test (so as not to open yourself to a biased interpretation of the results). You now test your control against one or more other variations of the SAME element. For example, if you’re testing your headline, then you set up another test in your testing software. The first page (the current “winner”) would be your control page. Then you’d set up another round of variations to test against your control. As usual, all of these pages would be identical except for the ONE factor/variation you’re currently testing. Test something entirely different. At some point you’re going to get to the point of diminishing returns, where continuing to test the same element isn’t going to bring you enough benefit to keep testing it. In fact, if you test six variations right at the outset, then that may be enough for you to decide to stop testing that particular element. So what you do next is take your control page, and start testing ANOTHER element (again, focusing on the elements that are likely to have the biggest impact). For example, maybe you’ve tested headlines first and now you want to test your call to action. So you’d use your web page variation with your winning headline, and hold everything else constant except for the call to action. 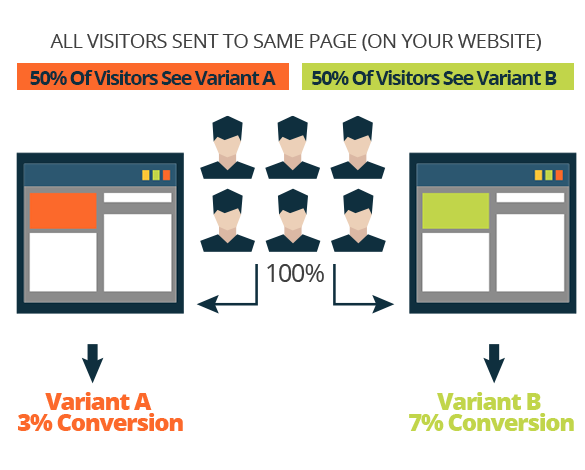 Then you’d run an A/B split test to see which call to action gives you the biggest boost to your conversion rate. Pretty easy, right? It is…especially when you use a tool like Split Test Monkey. READY TO BOOST YOUR CONVERSION RATE? So there you have it–you just discovered that split-testing is a lot easier than you think, especially when you’re using the right tools. Be sure you have one goal in mind, and that you create your pages and test them around this one goal. Focus on testing those elements that are likely to have the biggest impact, such as your headline. Don’t get bogged down testing the minutia, or over-testing any one element to the point of diminishing returns. Remember that the variations in the URL can affect conversions, so using Split Test Monkey’s Dynamic Snippet test will eliminate the URL from influencing the test. Be sure you’re sending targeted traffic. Untargeted traffic will leave you with test results that are misleading or difficult to interpret. And the final point is to use the tool that makes testing easy, which is the Split Test Monkey Tool. This is a web based app, so there’s nothing to install or customize or fiddle with before you get started. All you have to do is log into your dashboard, and with just a few clicks and some copy and pasting you’ll be ready to roll.